You can see below some of the R&D nanophotonics technologies we have developed at the COBRA Research Institute at the Eindhoven University of Technology. Semiconductor nanowires based on different III-V materials. 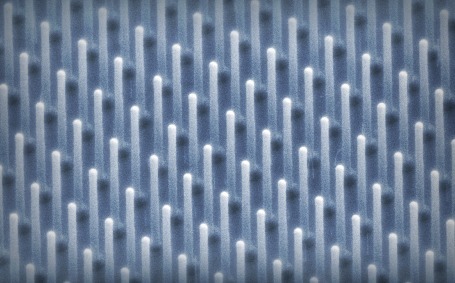 For application in solar cells, LEDs, lasers and FETs, the nanowire structure provides unique characteristics in terms of compatibility of materials (eg integration of III-Vs on Si), engineering of the material properties (e.g. direct-gap Ge using a wurtzite crystal structure) and improved device performance (e.g. high absorbance in solar cells). We offer the MOVPE growth of III/V and group-IV semiconductor nanowires, including the growth of axial p-n junctions. We also offer to grow InP nanowires on industry-standard (001) InP substrates. We finally offer the growth of ordered nanowires arrays by using nanoimprint lithography and special patterned arrays by using electron beam lithography or an ASML wafer scanner. Nano-opto-electro-mechanical structures (NOEMS) for sensing and for ultralow-power tuneability/reconfigurability in stand-alone devices as well as photonic integrated circuits. Using mechanical motion at the nanoscale, NOEMS enable control of light generation, propagation and detection with extremely low electrical powers, leading to integrated microspectrometers, tuneable lasers and phase modulators. We offer the development and fabrication of NOEMS based on a design provided by the customer, including e-beam lithography, optical lithography, mask deposition, dry-etching, wet-etching, metalisation, critical point drying. Nanophotonic integrated circuits with InP membranes on Silicon . 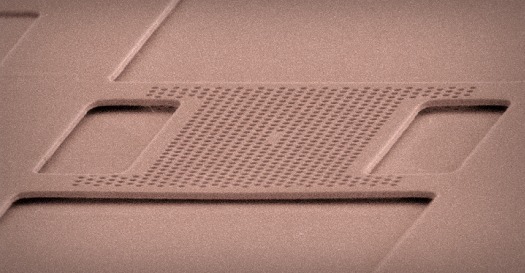 By bonding a thin InP membrane on silicon (IMOS), all photonic functionalities (lasers, detectors, waveguide circuits) can be integrated on a silicon chip, with ultrasmall footprints and power consumption. This revolutionary concept opens the way to dense and low-power optical interconnects for computing systems.